This has to be one of the most famously mind-boggling illusions that appears in lots of brain teaser books. Logic dictates elephants have four legs, right? 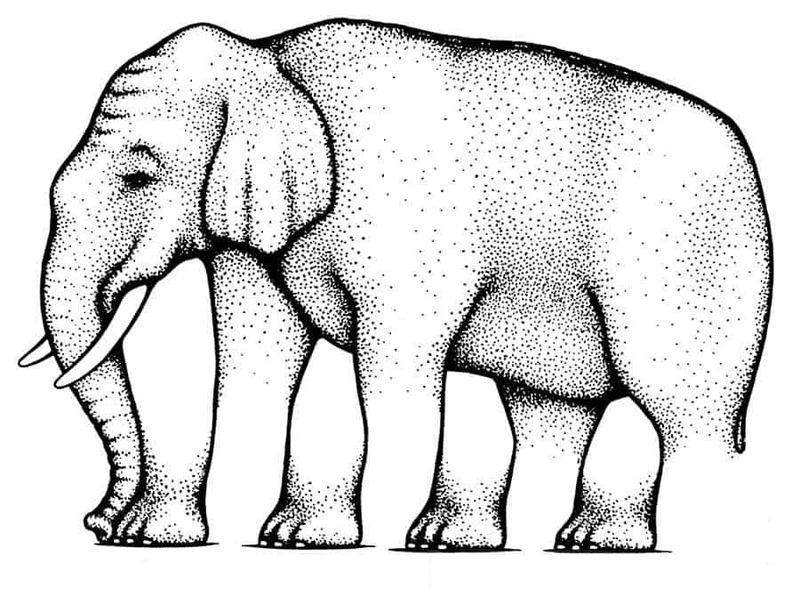 But the way this is drawn, it appears as if the elephant has more than four. Who doesn’t recognize this one? Only this time, the young lady adds another silhouette to the image: her own. 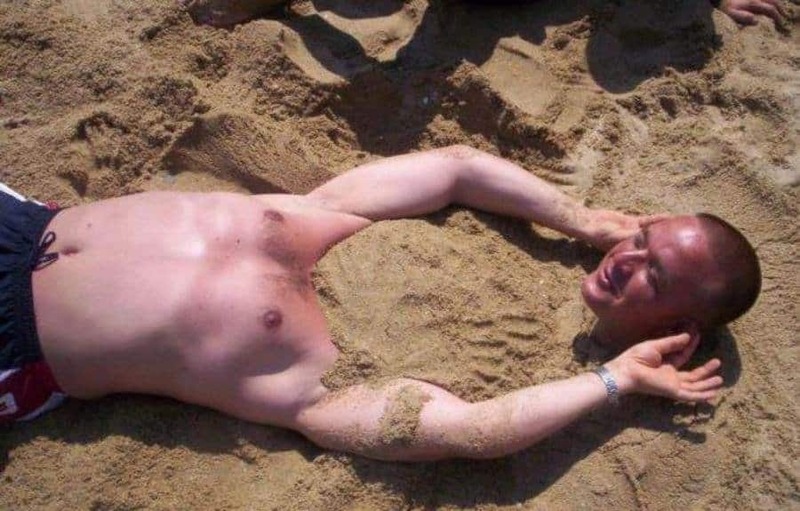 It’s either distracting, or funny, or a bit of both. 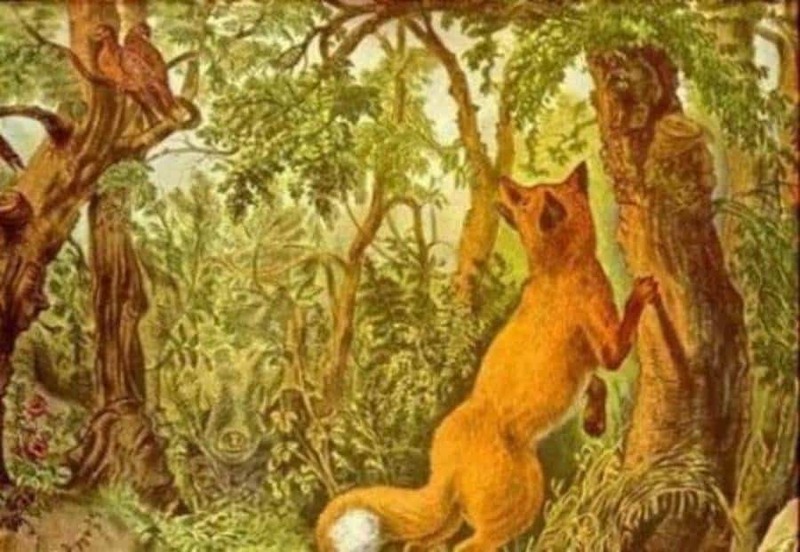 At first glance, you think “where’s the illusion?” But look a bit harder — it’s a find-the-animals game. There’s a badger, for sure, but are there others you can find? 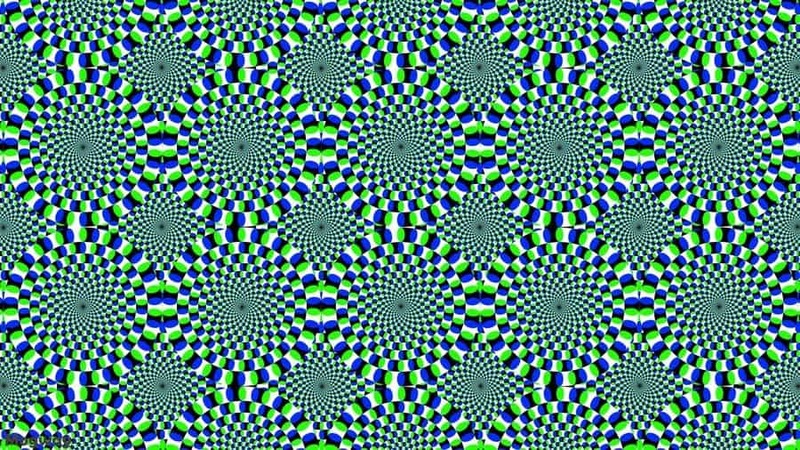 Just try to look at the image without “seeing” the circles and stripes move. 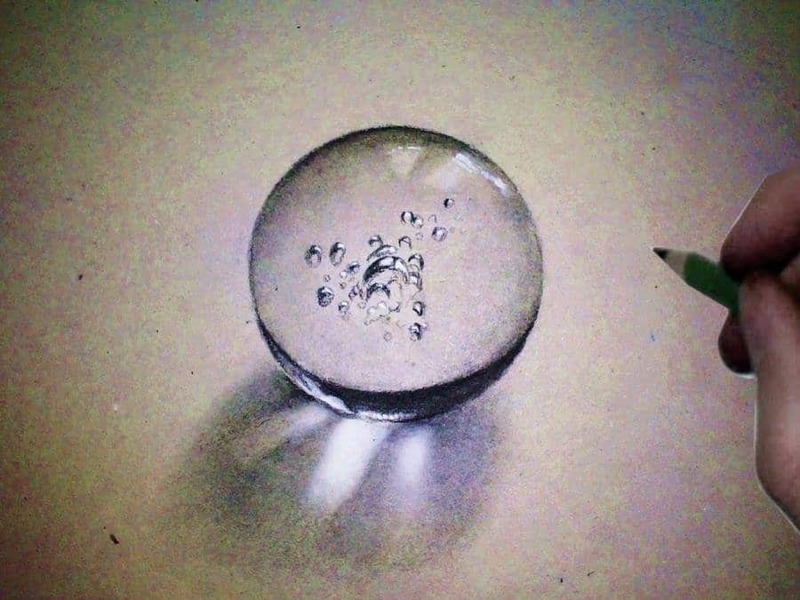 This kind of illusion is a classic that anyone can stare at for at least a good ten minutes or so. 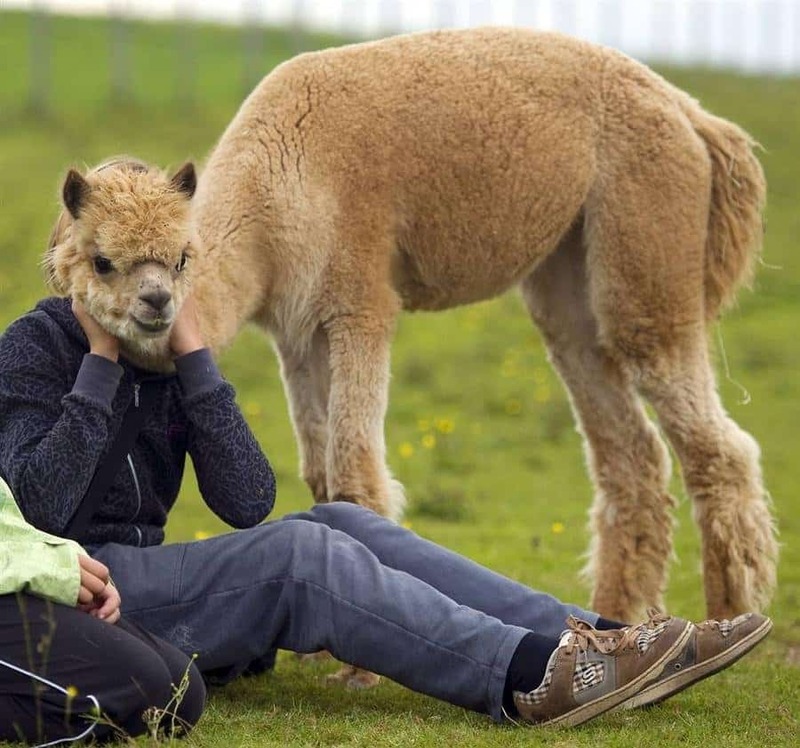 Apart from the fact that we know the person’s hiding behind the llama head, it’s still funny as anything. 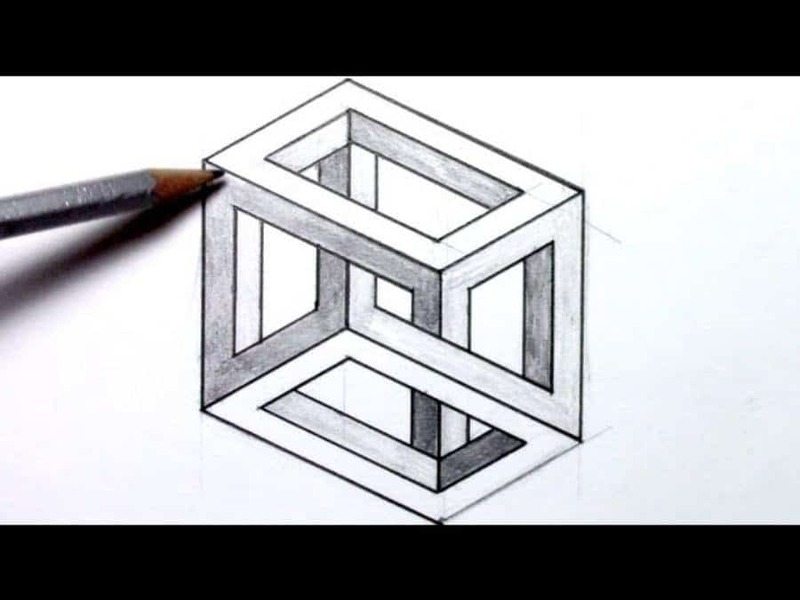 It’s tough to think of an illusionary artist without bringing up MC Escher’s style, recreated here near-perfectly. 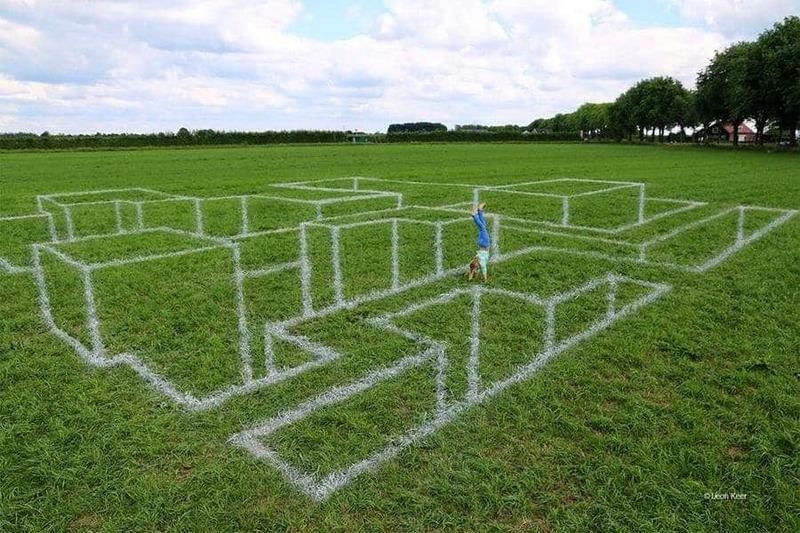 Just try and follow the lines around. Surely this person didn’t get blue and black stripes in a mobius-style tattoo. Because yes, that would be just ridiculous. 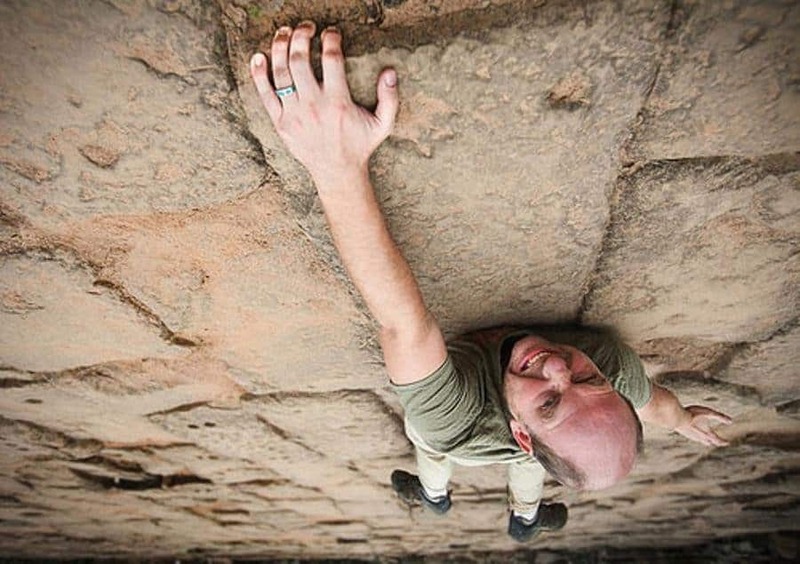 It’s more than likely Photoshopped, but it’s still a freaky-looking design nevertheless. 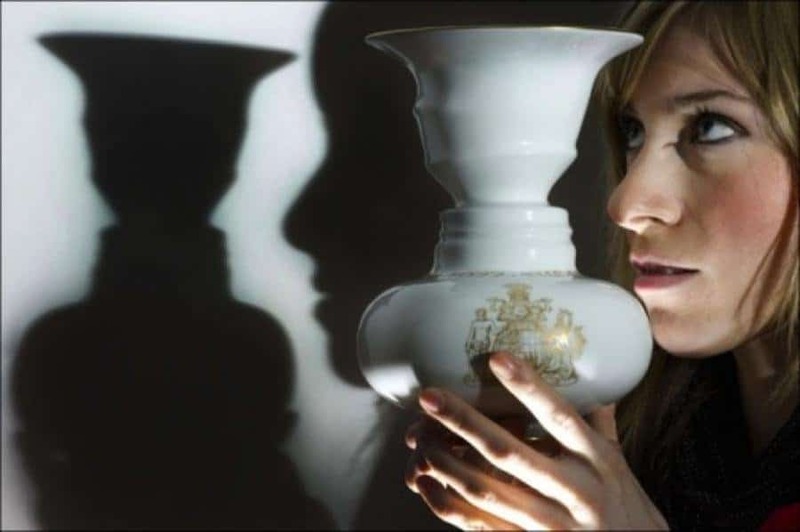 This is a rather interesting take on the old face-silhouette-or-vase concept, drawing the two old people’s pasts on their faces—giving you the impression they’re an old married couple. 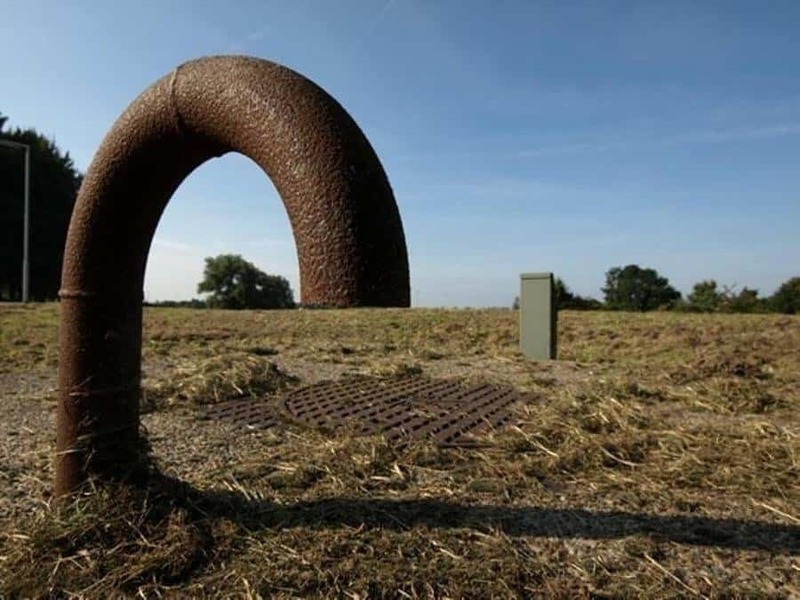 Is The Pipe Over The Horizon? 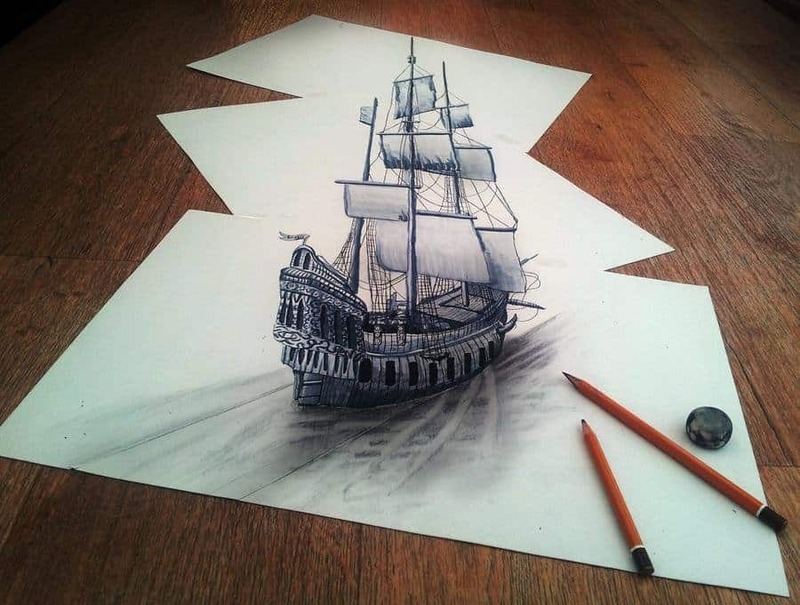 Definitely a “What-the-heck?” type of illusion that will have you staring for quite a few minutes. 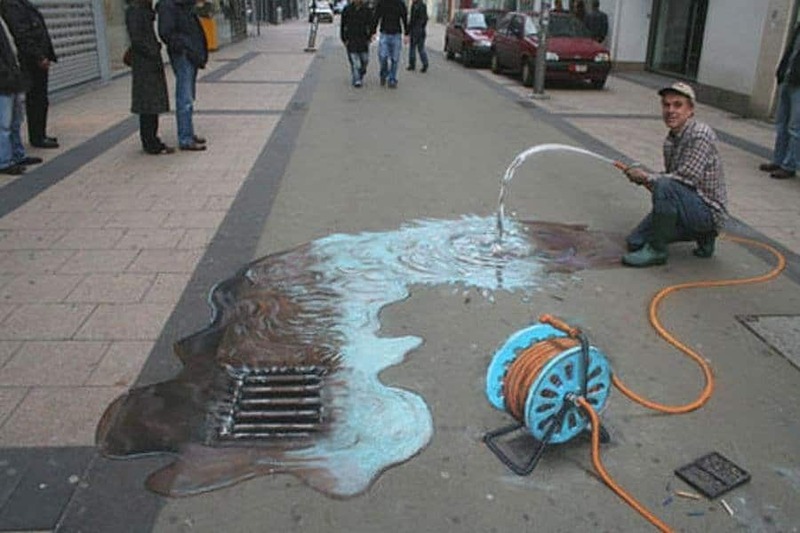 Just look at the image, think about it and you’ll see what’s going on. After you freak out for a couple of seconds, that is. 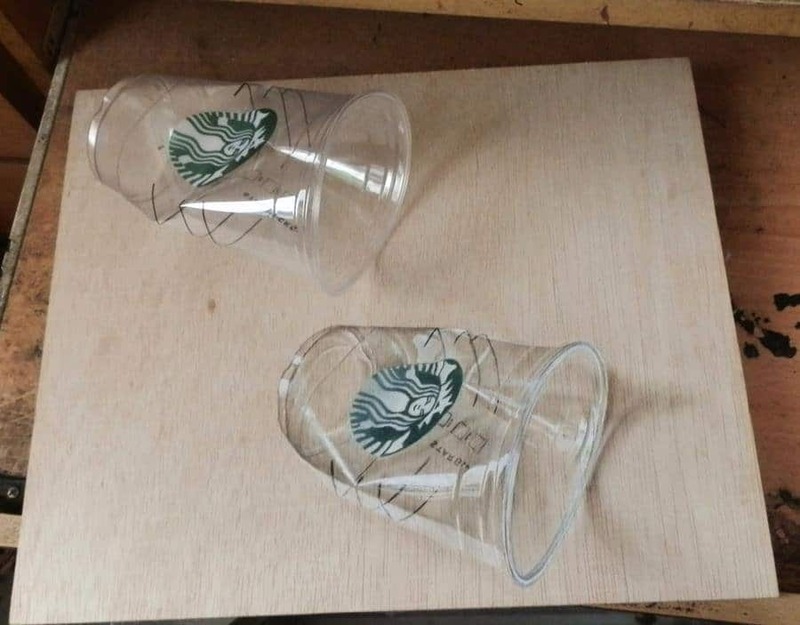 This is the toughest of all the illusions to see. 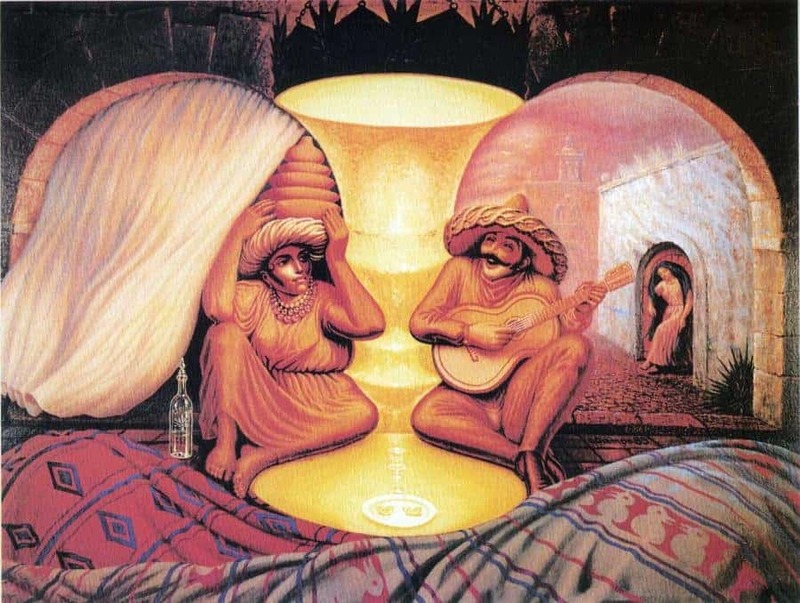 Get really close to the image, then shift your eyes back and forth. One “siren” looks like she’s got her eyes open, and the other one looks like she has her eyes closed. 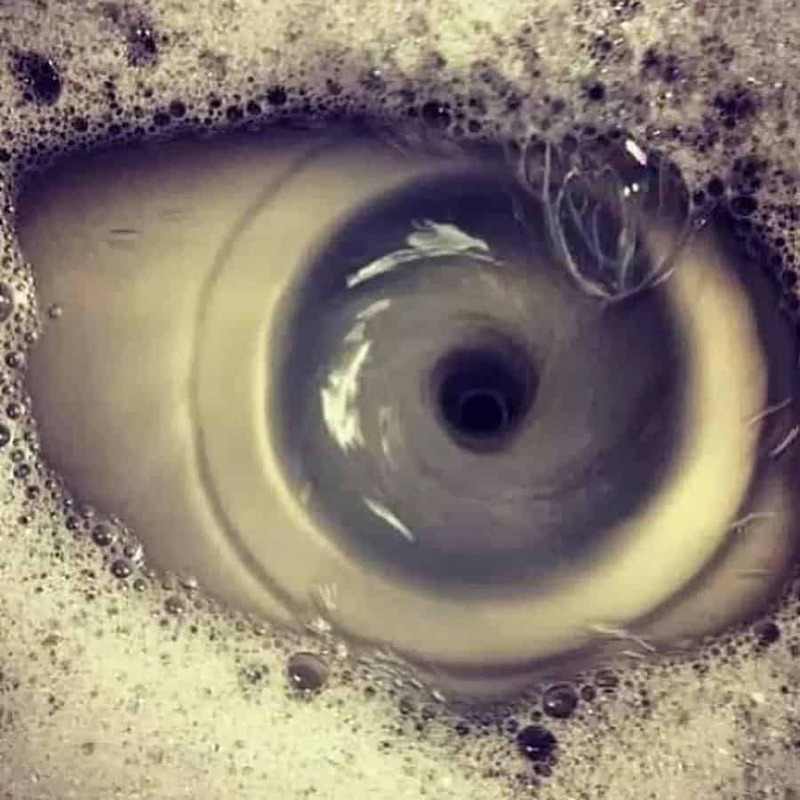 The phrase “trompe l’oeil” in French means “fool the eye.” Well, it looks like this eye in the drain has that down pat. Is this kid for real? 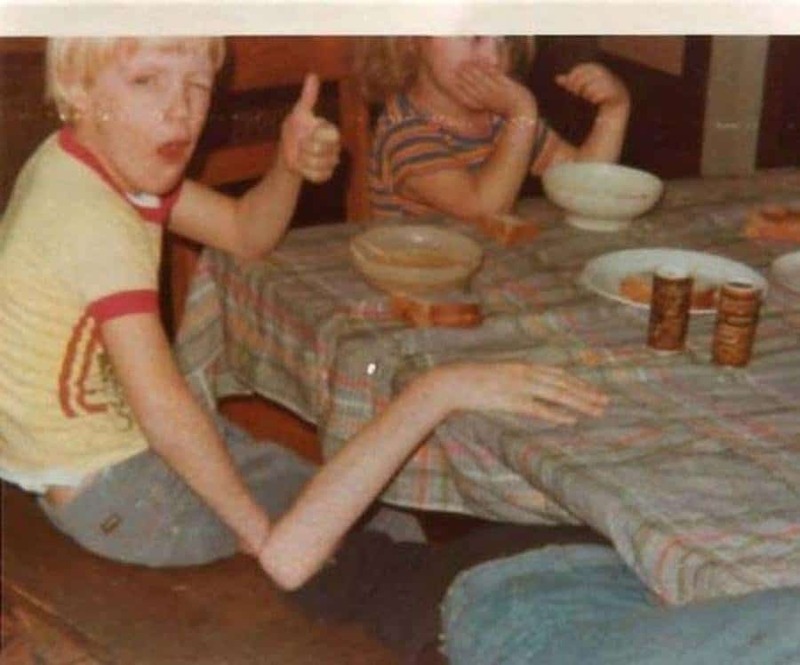 Is he related to that long skinny-armed alien at the end of “Close Encounters of the Third Kind?” Or is that someone else’s arm that’s butted up against his in a convenient limb placement? 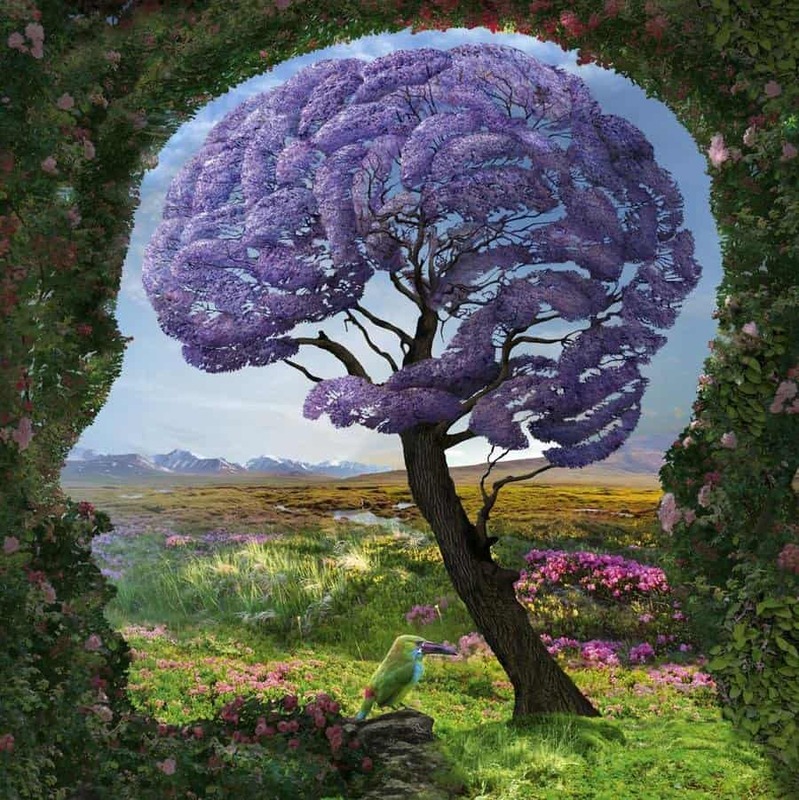 At first you think it’s just a silhouette of a face with a nature picture in the background, but then you pull back and you realize the tree looks like a brain in the top of the silhouette’s head. 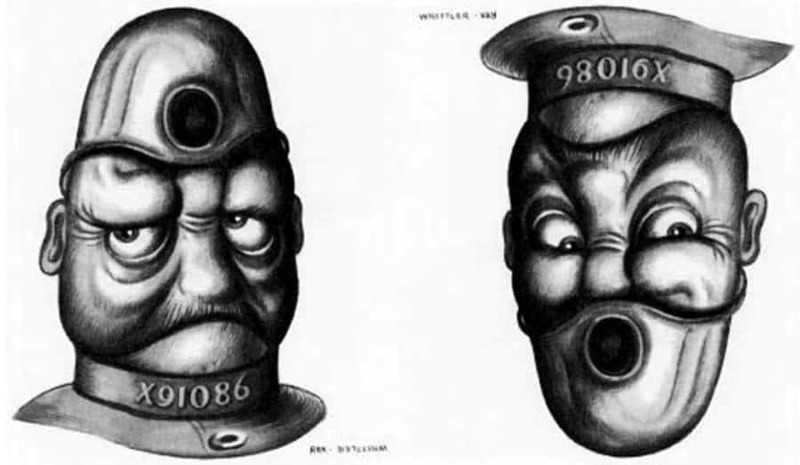 Is it a criminal with a big hole in his head and his criminal number under his face—or is it a really surprised cop? You decide.